If you are particularly fortunate, you will never need an attorney and the recommendations in this article will be of no real value. On the other hand, if, like an ever growing number of people, you require the services of an attorney, the following will be invaluable. When selecting an attorney, the first question you must ask yourself is, "How much time do I have to select an attorney?" Although your selection of legal counsel should properly be determined by the attorney's qualifications, there may be times when you need a lawyer right now! Example: you are a tenant (commercial or residential), you have just been served with a lawsuit seeking eviction, and the hearing is two days away. Under these circumstances, you may need to "streamline" the recommendations made below, so that you will have "some" legal representation at the upcoming hearing. As a general rule, "some" representation is better than "no" representation (but there are exceptions), and if you discover you have made a poor selection, you can always hire a different attorney after the critical hearing date has passed. When you have sufficient time to search for an attorney, the following approach will normally yield good results. You must first decide in which area of law you need assistance (i.e., real estate, personal injury, bankruptcy, wills & estates, etc.). Next, seek referrals from friends and associates. Some of the best referrals, however, come from attorneys who do not practice in the area in which you need help. You may also wish to see if any attorneys have written books or articles on the area of law in which you need help. The State Bar of Arizona and local county bar associations will also provide you with referrals. Your last choice should be the Yellow Pages (note that radio and television advertisements were not listed as viable choices). Start with a list of five to ten attorneys. Call each one of the attorneys, give him/her a short (i.e., one minute) synopsis of your case, and ask whether they are interested in undertaking your representation. You should also inquire at this time if their work schedule is such that they will have sufficient time to accept another matter. This question is more important if you need representation for a lawsuit, which will require significant time and requires certain actions to be taken at prescribed times, versus the drafting of a will, which can be worked into almost any attorney's calendar and may not require a significant amount of time. Ask the attorney how long they have been practicing and, more important, how long they have been practicing in the area of law in which you need assistance. If satisfied with the answers to the foregoing, ask to schedule an appointment. Be sure to inquire whether there will be a fee for the initial consultation. Some attorneys charge for an initial consultation; some do not. Personally visit at least three attorneys before you make a decision. For some reason, most people have a tendency to hire the first professional person (i.e., doctor, lawyer, accountant, etc.) that they speak with face-to-face. This is not sound practice. You comparison shop for virtually everything else in life (i.e., cars, houses, etc. ), why not comparison shop when you need an attorney? The choice of attorney is equally as important as a car or house, perhaps more, and will most certainly impact on the ultimate results achieved (i.e., success in the lawsuit, well drafted will, etc.). During your personal visits, you will want to inquire: where the attorney went to school (i.e., was it an accredited law school, a law school you know or did the attorney their law degree online); how much experience s/he has with your type of case/matter; and whether the attorney is a specialist in this area of law. 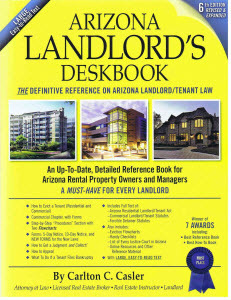 Attorneys may apply to the State Bar of Arizona for certification as a specialist in certain areas of the law (i.e., real estate, bankruptcy, personal injury, etc.). To become a certified specialist, an attorney must meet certain prescribed minimum requirements (i.e., licensed for a prescribed number of years, practice in that area of law for a prescribed number of years, etc. ), must take an examination and, thereafter, must attend classes every year in that area of the law. The advantage of hiring a certified specialist is that you are normally assured that the attorney is competent in that area of the law. But that does not mean you cannot find an attorney that is competent in that area of the law who is not certified. Many attorneys simply have not taken the time to apply to become certified specialists. The disadvantage of hiring a certified specialist is that the fees charged are generally higher (there are exceptions, i.e., generally, personal injury specialists charge about the same as attorneys who are not certified). If you are hiring an attorney to bring or defend a lawsuit, the most important information you will want to get from the attorney is an assessment of your chances for success. If you speak with three attorneys and they all opine that you will lose, you may want to reconsider your options. Further, you may want to think twice about hiring a lawyer to "champion your cause" if s/he does not believe you have a good chance of success. If the lawyer does not believe you will win; it may be difficult for him/her to convince a judge or jury that you should win. Finally, you should discuss attorney's fees: how they will be charged, when they must be paid, etc. You should not base your selection of an attorney on the fee charged, but, the truth is, if you cannot pay the fee up-front, your choice of attorney may be determined by which attorney will take your case on a contingency fee basis. Ideally, however, your choice of attorney will be driven by a careful analysis of the foregoing information and your subjective like or dislike for the attorney. Remember, you may be working with this person for months or years; make sure you can get along with your attorney. Once you have made a decision, make sure you reduce your agreement to writing (i.e., the scope of the attorney's representation of you and the fee structure). Also, make sure you give your attorney all the facts. This applies whether the attorney is merely drafting a document for you or is handling your lawsuit. Seemingly insignificant facts may require different/additional language in a document and/or drastically alter the outcome of litigation. If you are withholding information because you do not trust your attorney, you have hired the wrong attorney -- go to the beginning of this article and start again. Hiring an attorney is an important decision. The attorney you hire will have an impact on the results obtained. Devote time and resources to the attorney selection process proportionate to the magnitude of the matter you need handled. If you adhere to the recommendations above, you will achieve superior results and, equally important, you will "feel good" about your decision. Dave had a great article about writer's block when starting a new blog.